In this paper, the main area of concern is the development and advertisement of a product that is new in the world. Bearing in mind that the product is new in the world also in the market effective advertisement strategies should be developed. This is to enable it penetrate and find a place in the market. In addition, there is the need to come up with the desired audience targeted to form a large share in the market. There is the need to come up with unique features that can ease identification of the product by the target persons. This product is a smart wallet that is hard to open thus controlling one from temptation of removing the credit card and spend a lot. 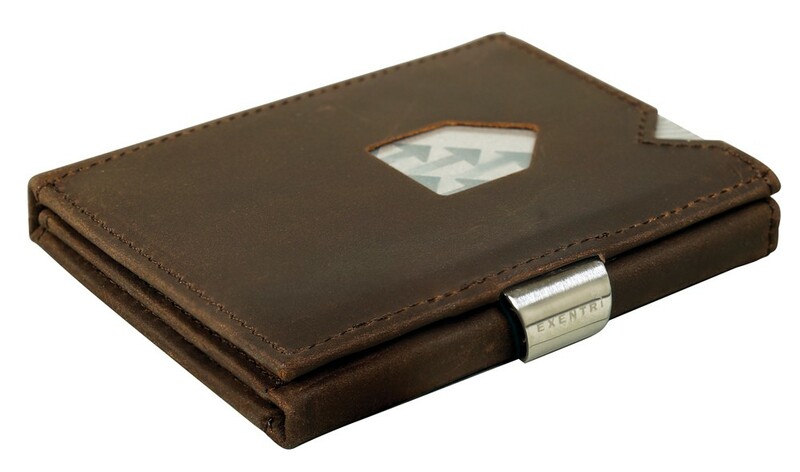 In addition, this wallet is so smart such that it will show the owner the amount of money he or she still has in the bank by increasing or decreasing in size. When one has a lot of money, the wallet will change its color to the owner’s favorite color and vice vases when there is less money. The wallet will be able to produce more money in cases of emergencies and able to combine other credit cards to save on time. When it is stolen or when it gets different fingerprints, it will disappear and go back home. It will also be able to steal other credit cards thus making it new and different from any other ordinary wallet. In this case, the name of the new product is smart wallet and its brand name will be by symbols or initials of the product by the letters [SW]. Some of the reasons that contributed for the choice of this product name and the brand name were based on the ease of making the product sell easily. According to a number of marketers, they believe that a product that has a name that describes it function can easily be imitated. However, in my option I believe that because the words used to name the new product have been invented it will then enable the business to be successful and long lasting. In addition, if one wants his or her business to be successful in the long run there is the need to have a careful selection of a unique name. A slogan refers to a phrase that can easily be remembered used in commercial and other contexts repetitively to give n expression of purpose or idea. The slogan name will be “a product to be proud of”. This is because; it is easy to remember and at the same time makes the target audiences want to know more about the product. In addition, the target of a slogan is to have a strong impact on my target audience perception about the product. All these then gives me enough reasons for the choice of this slogan. Advertisement is one of the promotional mixes that is paid for and can be transmitted through a wide range of media (Wright 8). In introducing a new product in the market, most people prefer to use advertisement as it is cost effective and at the same time able to create a strong-brand image. The product being advertised in this case is the smart wallet that does not exist currently in the whole world. The look of the advert will be one that has already identified the competitors, target audience, uses emotional appeal, and gather the attention of the audience. As a result, the advert expected to be used when advertising the smart wallet will incorporate all these features hence coming up with advocacy advertisement. For this new product, the target audiences have been segmented on the basis of demography, and social classes (Wright 44). On this basis of segmenting the target audiences, we will be able to come up with a profile of the target customers. On the basis of demography, the target audiences will be both the male and female customers of age above 18 years. On the basis of the social classes, we will target the target customers will be in the middle and the high-class individuals only. This is because; the wallet will be able to change color bases on the amount of money that one has in his or her wallet. In every organization that places an advertisement of its product, the aim is to develop a positive emotional appeal to the target audiences and customers. As a result, during the advertisement of this new product the aim is to create a positive emotional appeal by describing the benefits that will result from the use of this wallet at a rational point of view. In addition, the positive emotional appeal can be possible by making the target market feel safe, happy, and valuable from the use of the new product. To be able to reach the target market, the advert will be placed on the television and national news papers. The national newspapers will be uses to ensure that all the social classes more so the target middle class and high-class persons. In addition, this is a precise strategy that will guarantee access to such newspapers since the two classes will always be able to access the newspapers on almost a daily basis. For the television, it will ensure that everyone will have access to the information on a timely and friendly manner. In addition, such ways of advertising products are cost effective and at the same time increase brand awareness due to the mass population that uses such means of advertisement. Having analyzed the various strategies used to develop and come up with an advert that is appealing, I then went ahead to come up with the advert about the new product. Some of the forms used to create the advert wee based on the various analyses of advertisement strategies. First of all, I analyzed the competitors in the market who are also dealing with the wallets and identified the qualities that make my product more competitive that their products. After a clear evaluation of the competitors, I went ahead to determine the target audience who can dominate the market. I then went ahead to determine the emotional appeals I would like to have from the target audience reaction to the product. Finally, I went ahead to getting their attention by coming up with an advert and placing them using the various media such as television and the national newspapers. Prior the development of this advert, I had not tried any other form of advertisement because I first analyzed the pros and cons of the various advertisements. In my advertisement, the form, which I considered being most suitable was the use of advocacy form of advertising. This is because; it is designed to persuade the target audience towards acquiring a product that can be of immense significant. In addition, this form of advertising is cost effective as it is made using media such as television which can easily be afforded. I decided to make it this way because, at the moment, the aim is to advocate the significance of this smart wallet and bring to the attention of the audience. When advertising a product, there are a number of persuasion techniques, which depending on the application by the person putting across the advert, will lead to varying effectiveness. Some of the persuasive techniques that are currently used include; bandwagon appeal, celebrity association, emotional appeal, anti bandwagon appeal, slogan, glittering generality, and product comparison. Amongst all this techniques, I considered it being relevant to use emotional appeal technique of persuasion and the slogan. This is because; I consider these techniques as being effective since they aim at creating a positive customer emotion and are easy to administer. This will then enable me to reach an increased number of the target audiences being reached and win their perception. This refers to the image that is used to represent the company’s product during advertisement. In this advert, the ethos will be placed at the top center of the advert so that it can strike the target audience as first as possible. In this form, I believe that the audience will trust my product and brand by just looking and believing on what the testimonials give. Some of the spokes people that will be used to advertise such product will be the use of leading actors and actresses and the various heroes in the society. In addition, such people should have goodwill, good character, and moral sense so that they can be trusted by the target audiences. This involves giving logic argument and is considered to be extremely essential and is meant to create an appeal to the emotions of the target audiences. This will be located at the top center of the advert just below the ethos. The facts, figures and statistics about the smart wallet should be collected and used as supporting information. In addition, the effect it could be having on the people’s lives and daily operation should be mentioned. This refers to the emotions of the audience after looking at the advert this include; fear, anger, and pity among other emotional reactions. This will be located at the bottom right hand side of the advert. Ones the audiences look at my expectation is that they will respond to them based on the impact that the advert has on their feelings. However, it might not be so much necessary to incorporate in this advert as it is used mainly in the advertisement of consumables. Based on the descriptions put forth on the way the advertisement of the product is going to be placed, I think it guarantee enough reasons as to why my advert is effective. As a result, people will be encouraged to buy the product on the basis of the advertisement strategies only. In addition, based on the unique features that the smart wallet has, and the target market, it is then enough to support its marketing. Smart wallet is one of the unique products that is getting into the market and has never been used before in the world. In addition, its features might sound imaginary to a big number of people, but ones the advert has been put forth concerning the way the product is going to be used, many people will like it thus going ahead to buy. Intensive advertisement of the product will be done to ensure that people the target audiences are made aware thus getting attracted to buy the smart wallet. Based on the strength of the advertisement that will be used it will then determine the level of the market that will be attracted.